Harold Hofton was talented from a very early age, but he was forced to leave school at 14 to work for his father who owned a printers block engraving factory in central Birmingham - Ace Engravers. He completed art evening classes at Birmingham Art School but did not obtain any formal qualifications. At the age of 21 he left home and the security of a family business to work in London as a commercial artist. 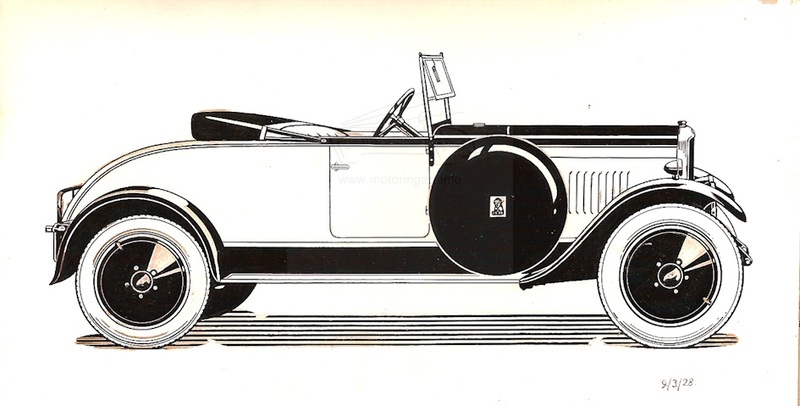 Here he undertook a variety of commercial art including motoring work. With the outbreak of war he joined the Royal Air Force as an Ordinary Ground Gunner. In December 1940 he used his artistic talents to paint a mural for an RAF dance on the wall of a barn at Fowlmere, Cambs. This showed four Spitfires shooting down a German bomber. He ended the war in Colombo, Ceylon working on the camouflage of the airport. In the 1980’s it was hoped by some war art enthusiasts to transfer the mural to Duxford Air Museum, but funding was not available. However, Harold restored the mural when he was in his mid 70’s. The mural was featured in the Daily Mail, September 7th 2000. Post war he worked via Tudor Art Agency as a freelance artist for the rest of his working life, retiring from commercial art at the age of 65. 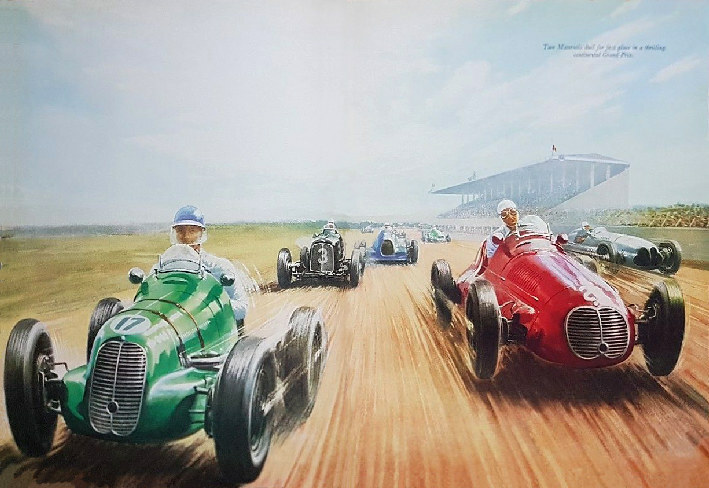 The work at Tudor was a range of commercial art including book illustrations and also box designs for Dinky and Matchbox cars. Retirement gave him more time for his own art interests of trains, planes, boats, horses, scenery, nature, but few cars at this stage. 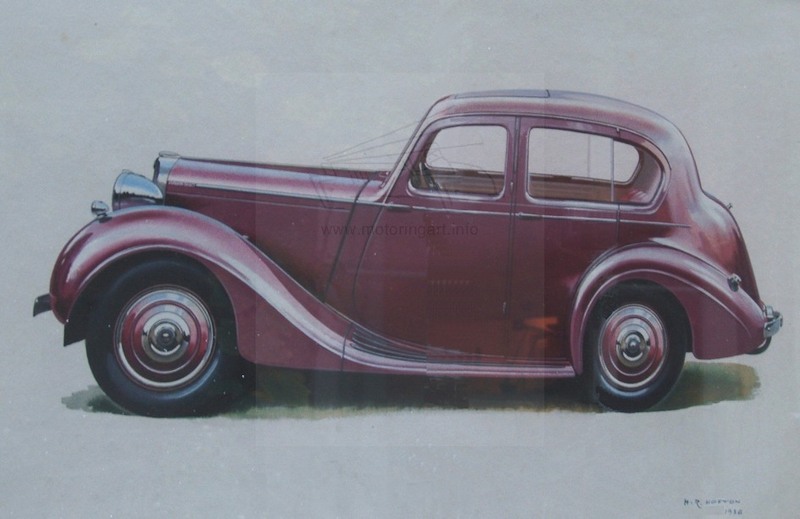 In the early days he used a variety of techniques including scraperboard, line work, watercolour and gouache. In later life without the pressures of commercial work he also used oils. After he retired Harold rarely sold any of his work mainly because he felt people did not acknowledge what went into them, and could not pay what they were worth. Fortunately they have been preserved within the family. Thanks to Harold’s daughter Gill Jacobs for supplying the information and above images. 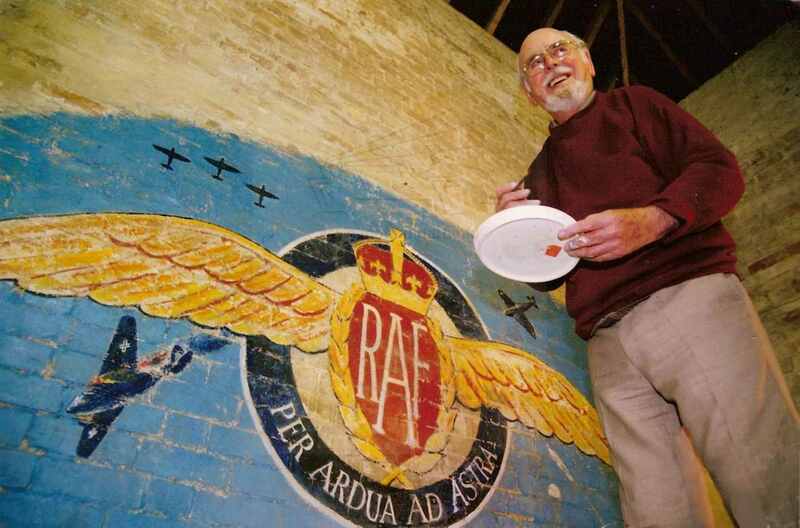 Harold Hofton restoring The RAF painting at Fowlmere circa 1986. 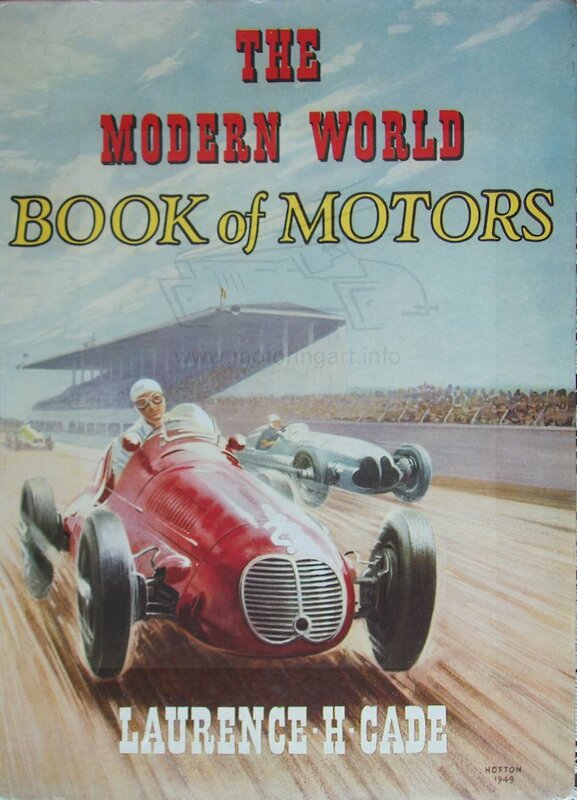 Full painting used for 1949 Book of Motors. Image courtesy of Stuart Middlemiss.